Summary :Your adventure begins in Siem Reap, temple will offer you your first glimpse of Angkor-era ruins. Leaving the pulsing city streets behind, you'll travel south through lush countryside by boat on Tonle Sap Lake, to the coast, where you will be able to enjoy tropical white sand beaches, and the trip will be ended in Phnom Penh the capital of Cambodia. Upon arrival at Siem Reap international airport meets and transfer by local guide from Cambodia Biking to hotel for check-in (Early check-in is NOT included and subject to hotel’s availability). Free at leisure until 06:30pm, the welcome dinner will be provided at local restaurant. Breakfast at hotel and today we leave the hotel early at 07:00 for biking to Angkor Archeological Park, stop to buy the Angkor Pass at check point and then continue biking to visit Angkor Wat temple. 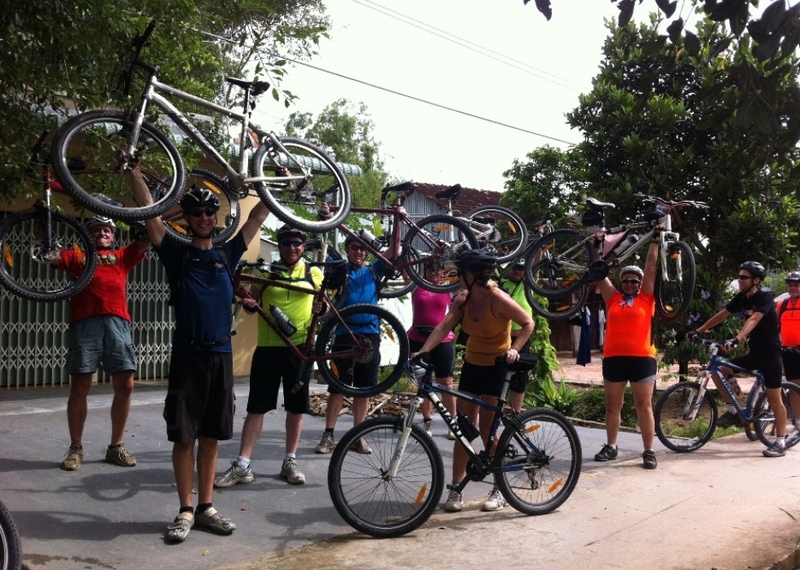 After Angkor Wat we ride our bikes through the small trails in the jungle to visit Banteay Kdei and Ta Prohm temples. Lunch at local restaurant, after lunch we continue ride our bikes to Preah Khan temple through the jungle and quiet temple of Ta Nei. Stop for snacks in Angkor Thom city near the toilet and visit Bayon temple before return to hotel. Breakfast at hotel, today we ride our bikes through the countryside, small villages, race paddies and first stop to visit Banteay Samre temple, then continue further to north and stop for snacks after 20km biking in local wooden house. 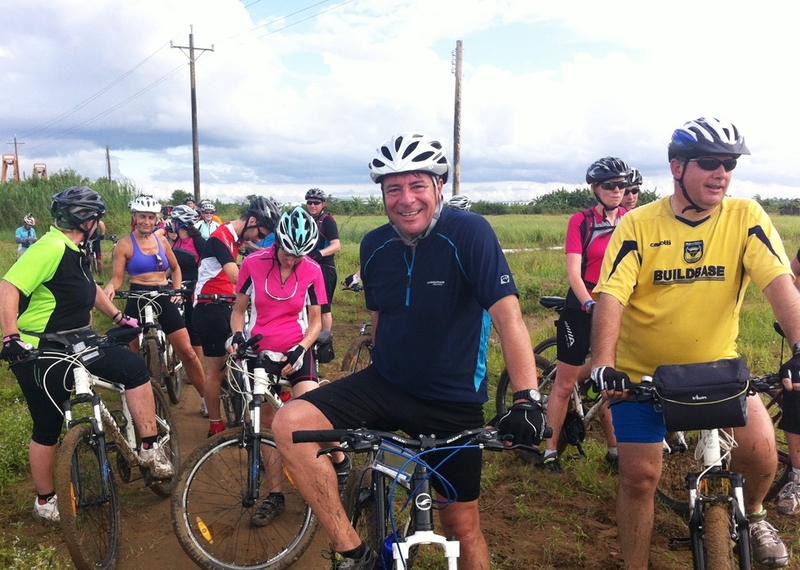 We continue ride the bikes through the countryside scenery to stop for lunch in local house and then we proceed to visit Banteay Srey temple, on the way back to Siem Reap we visit the land mine museum. Breakfast at hotel, today we starting riding the bikes along a small cannel to Tonle Sap Lake and it is a chance for us to learn and make a comparison of Siem Reap irrigation system in Angkor Period and today. 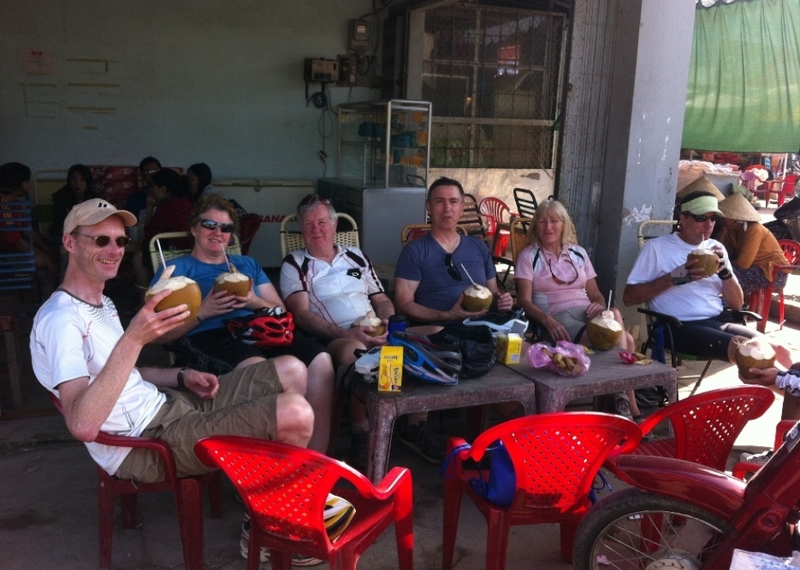 After snacks at local pagoda we continue biking to Tonle Sap Lake where we will embark on local wooden boat to visit the floating villages. Lunch will be provided on the local floating house and transferred back to Siem Reap by our escorted bus. Proceed to Phnom Penh by land for 6 hours driving and on the way we stop to visit the spider market in Skoun, on arrival check-in and dinner at local restaurant. Breakfast at hotel, heading out of town we visit the Tuol Sleng Prison Museum and the notorious ‘Killing Fields’ of Choeung Ek, which will give us a deep insight into the painful bloody rule of the Khmer Rouge. And visit Royal Palace before lunch at local restaurant. 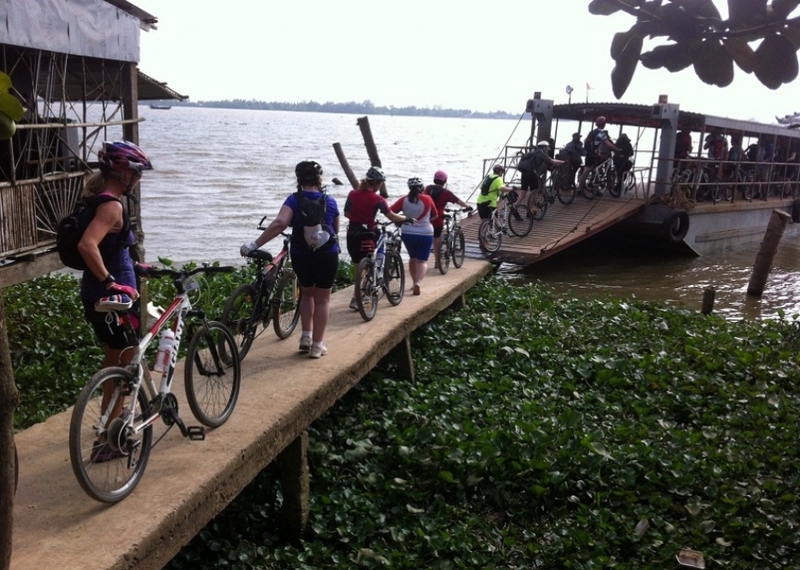 After lunch we are transferred to Mekong River where is the riding spot, cross the Mekong River by local ferry and riding our bikes to visit two main villages on the Mekong Island (weaving village), enjoy swimming until 5pm we return to Phnom Penh by boat and view the sunset on the way. Breakfast at hotel, we are transferred by escorted bus straight to the top of Kirirom Mountain. 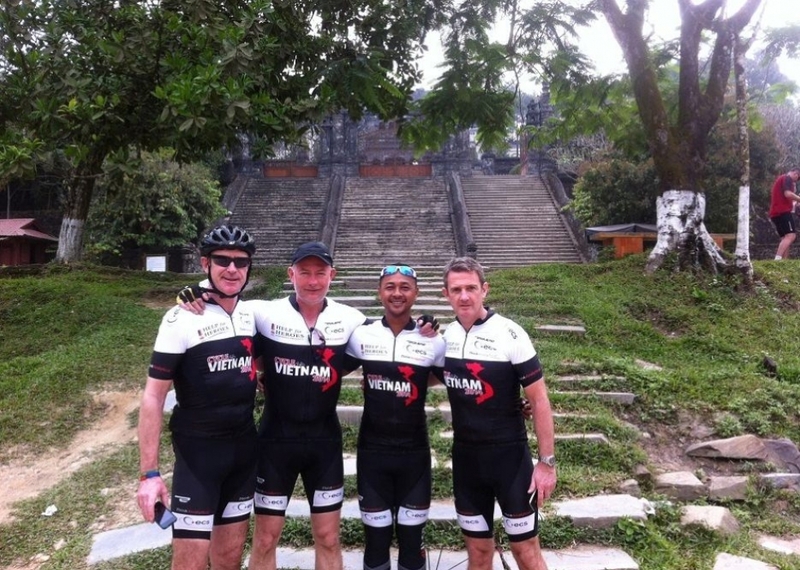 It takes about 2 hours driving, on arrival we ride our bikes through the pine trees scenery to visit former residence of King Norodom Sihanouk, Silver where-house, waterfalls. Lunch box in the jungle and then we will be transferred to the foot of the mountain to ride another 16km to Chambok community-based ecotourism. Breakfast at local house and we drive to the riding spot which is about 40km away from the Chambok village, our bikes are already prepared and waiting for us off the main road and we start biking on unpaved road to Ta Keo province and we will stop for snacks on the way and lunch in one of the local primary schools, after lunch we will get the blessing from Monks in local pagoda for good prosperity, and good luck and then we plant one tree each for being green in the future before continue biking to Ang Tasom in Ta Keo province. 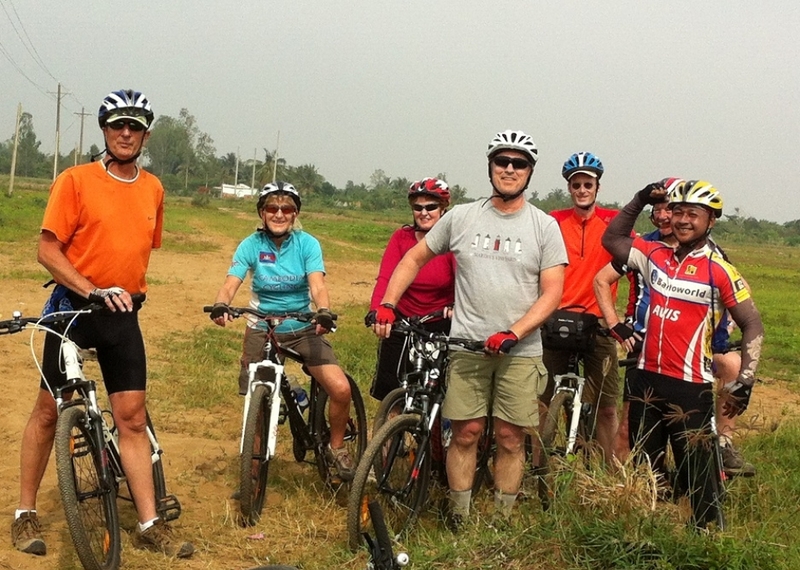 Breakfast at local restaurant and today we will ride our bike along the remote villages to visit the Phnom Chisor Temple dating back from the 11th century. A 500 step path leads up to the top of the hill from where we can enjoy fabulous views over the surrounding countryside. Lunch at local restaurant and visit some daily activities from the locals in the farms and see how they making silk. 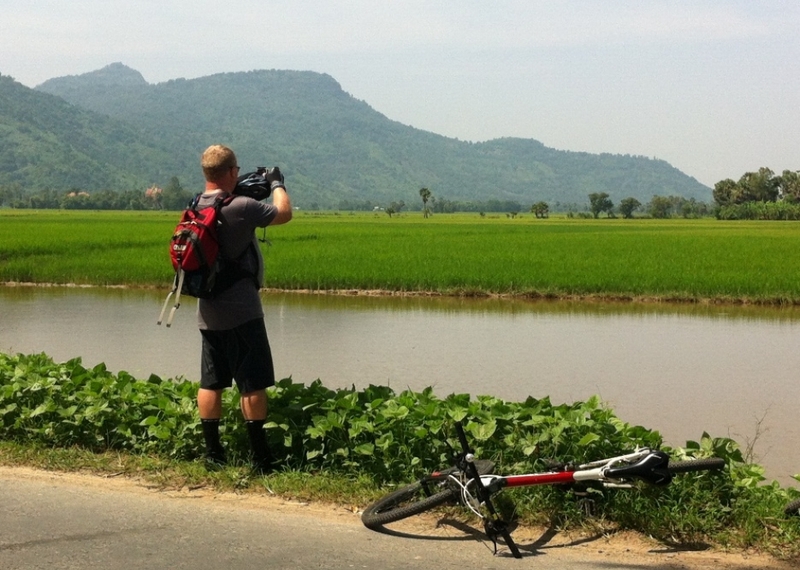 Return to our guesthouse by riding the bikes through the down town of Ta Keo province. 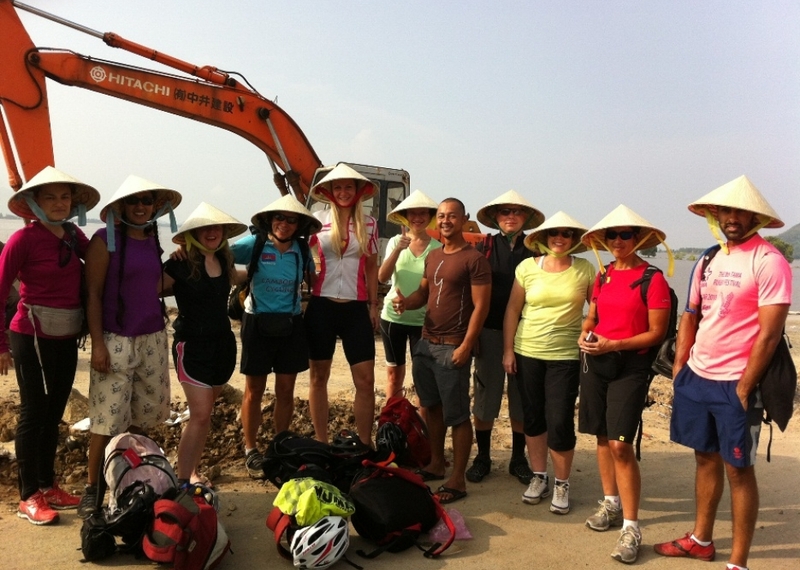 Breakfast at hotel and we will be transferred by escorted bus for 40km southward to avoid of the traffic to reach to riding spot, enjoy our bike riding along the paved road with less traffic to Kep city, snacks provided on the way. Fresh seafood lunch will be provided in local restaurant in Kep city, after lunch we enjoy swimming and play on the beach of Cambodia southern coastline until 4pm we are transferred to hotel in Kampot for overnight. 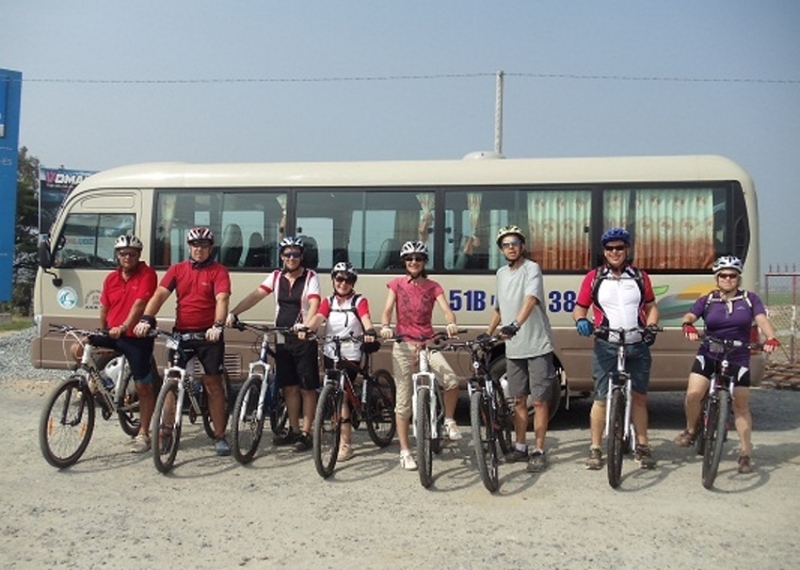 Breakfast at the lodge and today we will ride our bikes through the countryside to visit salt field, pepper plantation, ancient cave in Chngock mountain, lunch at local restaurant and in the afternoon, small villages and visit local market and return to the lodge before dark.